Amerikanische Gruppe mit Blues- und Country-Western-Einflüssen. Wurde 1969 in Jacksonville (Florida) von den beiden Gitarristen und Brüdern Duane und Gregg Allman gegründet. Den Sound der Gruppe prägen 2 gleichberechtigte Gitarristen und Schlagzeuger. Berühmt wurde die Gruppe vor allem in Europa zunächst weniger wegen ihrer Musik, sondern mehr durch 2 tödliche Motorradunfälle. Am 29.10.1971 war es Boß Duane Allman, der verunglückte, 1 Jahr später, fast an derselben Stelle, verunglückte Bassist Berry Oakley am 11.11. Gregg Allman formierte die Gruppe mit Gitarrist Dickie Betts, Pianist Chuck Leavell, Schlagzeuger Jai Johanny Johanson und Butch Trucks und dem Bassisten Lamarr Wil|iams neu. 1973 gelang den Allman Brothers weltweit der Durchbruch mit dem Hit „Ramblin' Man'. Seitdem wirkt die Gruppe auch musikalisch sanfter. Boss Gregg Allman machte im Sommer 1975 spektakuläre Schlagzeilen durch 'seine Hochzeit mit Cher (vom Duo Sonny Er Cher) und die nach einer Woche folgende Trennung. Gerüchte wollten von einer Trennung der Gruppe wissen, als die einzelnen Mitglieder Solo-LPs veröffentlichten. Neueste LP: „Brothers and Sisters', von Gregg Allman: „Laid Back', Dickie Betts: „Highway Call'. 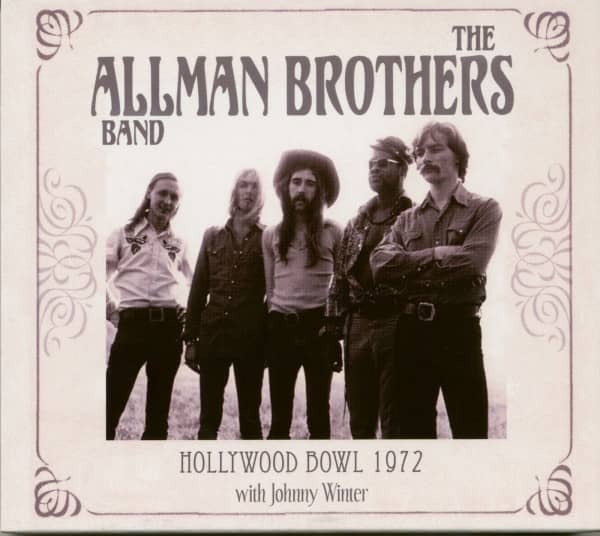 For the first Allman Brothers Band LP without Duane, guitarist Dickey Betts offered up Ramblin' Man, a song he hoped to pitch in Nashville. Talking to the 'Wall Street Journal,'he said, "In 1969, I was playing guitar in several rock bands that toured central Florida. Whenever I'd have trouble finding a place to stay, my friend Kenny Harwick would let me crash at his garage apartment for a few days in Sarasota. Kenny was a friendly, hayseed-cowboy kind of guy who built fences and liked to answer his own questions before you had a chance. One day he asked me how I was doing and said, 'I bet you're just tryin' to make a livin' and doin' the best you can.' I liked how that sounded and carried the line around in my head for about three years. Then one day in 1972, I was sitting in the kitchen of what we called the Big House in Macon, where everyone in the band lived - and decided to finish the lyrics. The words came fast, like I was writing a letter. When [producer] Johnny Sandlin asked if I had any songs for our upcoming album, I ran down 'Ramblin' Man' on my acoustic guitar. Everyone in the room went nuts. My inspiration was Hank Williams's 'Ramblin' Man, ' from 1951. His song and mine are completely different but I liked his mournful, minor-chord feel. Except for Kenny's line, the rest of the lyrics were autobiographical. When I was a kid, my dad was in construction and used to move the family back and forth between central Florida's east and west coasts. I'd go to one school for a year and then the other the next. I had two sets of friends and spent a lot of time in the back of a Greyhound bus. 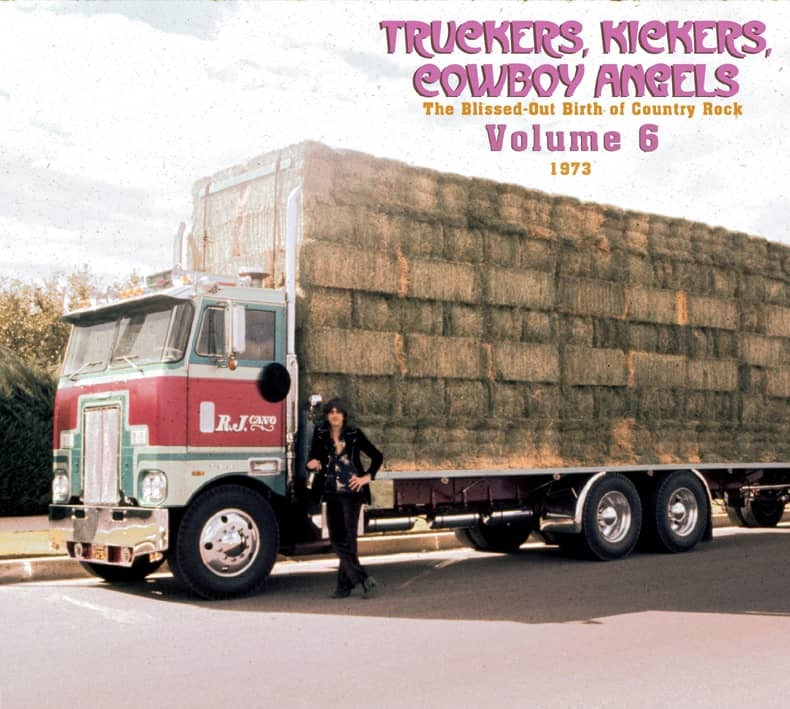 Ramblin' was in my blood But the song, as I originally wrote it, had a country flavor and needed to be Allmanized - given that rock-blues feeling. I thought of Eric Clapton's 'Layla' - which had come out a year earlier - with its long jam at the end. I figured something like that might work. When we went into Capricorn Sound Studios in October '72, 'Ramblin' Man' was the first song we recorded - and it would be [bassist] Berry Oakley's last song before he died in a motorcycle crash a month later. I knew it needed a solid intro to grab the listener. My daddy had been a fiddler and I heard a lot of fiddle music as a child. I had a ukulele and had played along with him. What I came up with for the intro was a fiddle-like opener built on a pentatonic scale - but with me on guitar and Chuck [Leavell] on piano exchanging lines." Budding guitar star Les Dudek was there when Ramblin' Man was cut: "Dickey invited me to the studio. They'd record parts and listen back to hear how the song was developing. Dickey kept asking what I thought of his overdubs and I'd tell him. Finally he said to come out in the studio and play it with him. I played the high harmony parts and Dickey played the low ones. After we recorded the first set in the lower register, we overdubbed the same harmonies in the higher register. Then they stacked them all together on the tape. You hear us where the riff starts to repeat and there's a wall of guitars playing harmonies in two octaves." 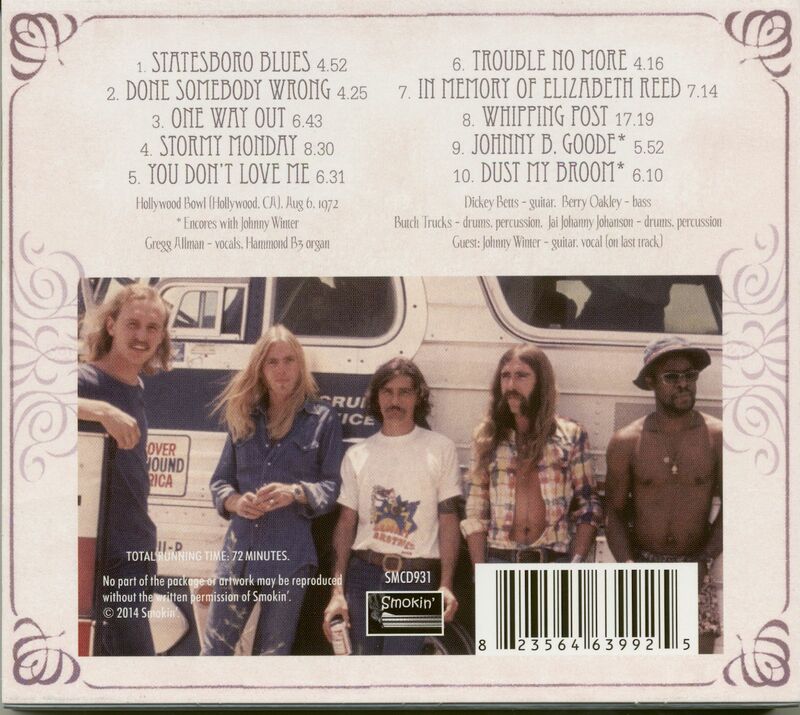 The result was a #2 single, headlining a #1 album, definitively answering the question of what the Allman Brothers Band would do without Duane. Kundenbewertungen für "Hollywood Bowl 1972"